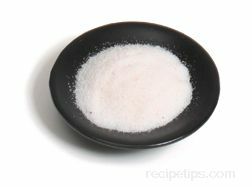 A salt substance derived from acidic citrus fruits, such as lemon and limes, that is dried and formed into a powder or crystal. 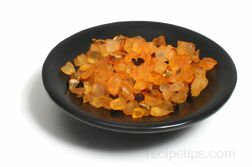 When used as an ingredient to flavor foods, it provides a distinctively sour or tart taste to the food dish. It is a common substance used in sausage making or canning to keep the color of fruits from darkening. 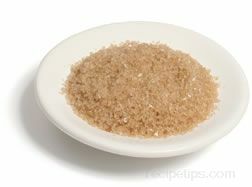 It is commonly used as a substitute for lemon juice, providing a tart flavor with only a few grains of the salt. Since the flavor can overpower some recipes, it is best if used with sugar to arrive at an enjoyable blend between the sweet and sour taste. 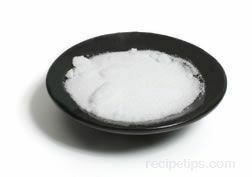 This type of salt, which may also be referred to as sour salt or citric acid is often used in recipes for Borscht, a cold beet soup, or lemon cheese cake.